Our skins suffer a variety of problems from disturbances to the turnover cycle regardless of age due to stress on the skin on a daily basis from aging, ultraviolet rays and lack of sleep. 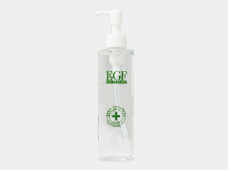 This is care concentrated on skin damage by replenishing EGF together with collagen and hyaluronic acid. 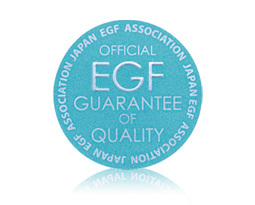 EGF conditions the texture of the stratum corneum and helps to release the inherent beauty of your skin. 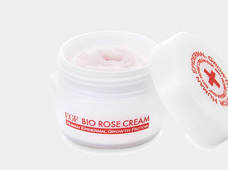 The new feel full of the power of biotechnology is the secret to the popularity of EGF Bio Essence. After washing your face, please first thoroughly rub the essence into your skin. Once you “feel you skin absorbing more and more EGF,” please replenish its EGF by repeating two, three or more times until your hands stick to your cheeks. 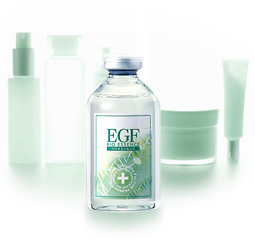 After your skin retains its vitality with daily EGF supplementation, you will be able to feel a moist and springy texture with just a single use. Now, there is no need to replace the cosmetics line you use. 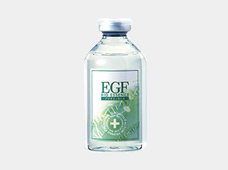 After washing your face, just supplement its EGF prior to starting your regular care routine. 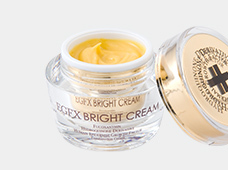 You can achieve glossy skin with a transparent feel just with easy and simple anti-aging care. We have drastically reduced stimulus to the skin by reducing the amount of preservatives. This is a low stimulus essence for all skin types that can be used after shaving your face or by those with sensitive skin. Moreover, the comfortable feeling is refreshing even though it provides moisture, so it can be used regardless of whether you have dry skin or oily skin, whether it is summer or winter and no matter what your age is. After washing your face, please use this essence first. Thoroughly rub an appropriate amount into your skin and then carry out your regular care routine. 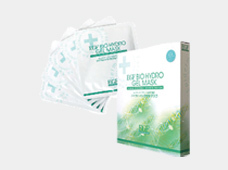 Moreover, hEGF is a substance with a nature that means no more than necessary is taken in by the skin. *This product is an essence; it is not a face lotion. *It does not matter what type of skin yours is, but please discontinue use in the event this disagrees with your skin.